These days I had the opportunity to paint in one of the first houses built in Can Picafort (Mallorca) and recently named the town's heritage. Paquita the owner of the house and retired painter gave me the opportunity and the freedom to be able to rely on her family photographs to make the mural. 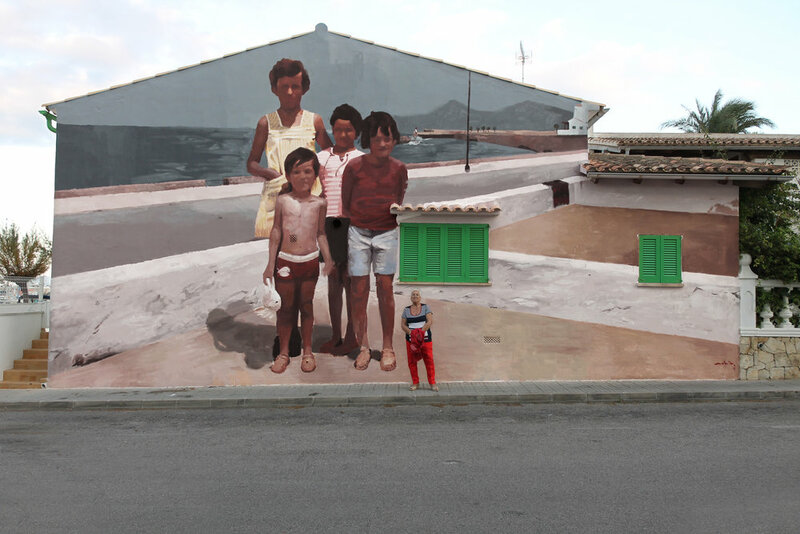 The image I chose is that of their children 40 years ago in the exact place where the mural is painted but when the town only had 200 inhabitants and without the excess of tourism that it currently has.